Peanuts have been cultivated and consumed in South America for centuries. Nowadays, they are one of the most popular snacks around the world and a major dietary staple in the United States. Learn about the many health benefits of peanuts, as well as their history and modern uses. Native to South America, peanuts are now cultivated in most warm countries across the world. Used mostly as a food source, the fact is that peanuts are both nutritious and beneficial to human health in medicinal ways. They have been used as remedies by centuries in different schools of traditional medicine. As well as being a tasty snack that provides necessary nutrition, peanuts boast various properties that can be useful in the prevention and treatment of different ailments. Due to their great popularity, many studies have been carried out in order to discover how the constituents of peanuts work to benefit human health. Supporting cardiovascular health. Studies have shown that those who consume a high amount of peanuts in their diet have lower rates of heart disease on average. Repairing muscle tissue. Peanuts contain chemical components that are helpful in muscle recovery, particularly for those undergoing physical stress. Supplying nutrition. Peanut-based products are increasingly supplied to third world countries, as they provide an abundance of vitamins, minerals, and energy to malnourished children. Nourishing hair and nails. 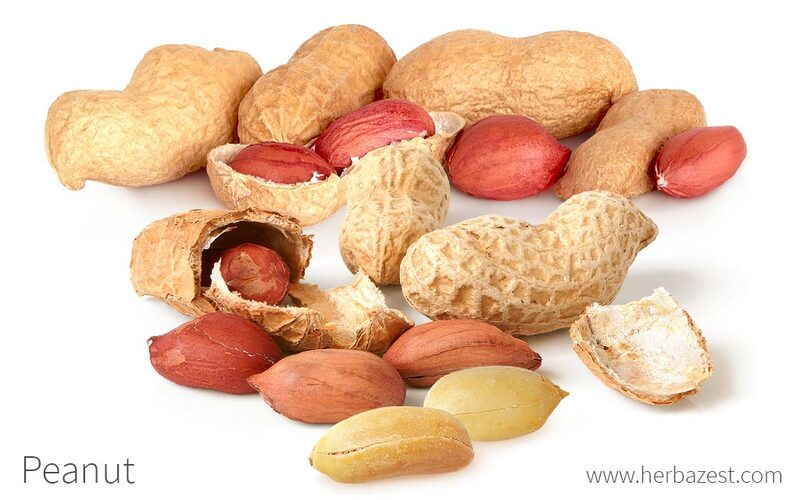 Peanuts' protein content is particularly useful in stimulating healthy hair and nail growth. Supporting weight loss. It is believed that peanuts can aid with weight loss by encouraging a fast metabolic rate and by causing the body to feel full. Peanuts have also been traditionally used to treat gonorrhea, constipation, warts, and kidney problems. However, these medicinal applications are not fully backed up by modern science. Ongoing research may clarify the effectiveness of peanuts when they are used in these treatments. Peanuts are rich in monounsaturated and polyunsaturated fats, including linolenic, oleic and palmitic acids, as well as omega-3 and 6 fatty acids. These are considered "heart-healthy" fats as they can help to lower cholesterol in the body. The mechanisms of these acids are yet to be fully understood; however, many studies have taken place that concur that those who consume a high amount are less likely to suffer from heart disease, high cholesterol, and other cardiac complications. Amino acids are another valuable compound found in peanuts. These are what make up protein and is used by the body to maintain muscle function and strength. Amino acids are essential for all bodily functions, and are the building blocks for muscles, hair, nails, bones, skin, and blood. Consumption of peanuts - as part of a mixed diet - can help to ensure that the body has access to an adequate amount of protein, thereby supporting overall health. Peanuts can also help some people with weight loss. They have a low glycemic index, which means the digestive system breaks them down more slowly, causing a slow release of energy. This action leads to a sensation of feeling fuller for longer. Consuming peanuts on a regular basis has been shown to reduce the risk of heart disease, high cholesterol, and other cardiac complications. There are other herbs that also provide cardiovascular and nutritional benefits, such as chia, quinoa, and sacha inchi. The energy value of one serving of peanuts (32 nuts) is around 170 calories. Peanuts are usually safe to consume for most people; however, they should be enjoyed in moderation as part of a mixed diet because of their high caloric content. Intake of too many calories can lead to weight gain, and subsequently, heart complications. When consumed as snacks, peanuts are often salted, which means that they are high in sodium, so overconsuming them can contribute to health problems. A high-sodium diet can cause high blood pressure and therefore increase the chances of strokes, heart attacks, and kidney disease. Unfortunately, peanut allergies are considerably common across the globe. Depending on the severity of the allergy, symptoms can range from an itchy rash or nausea to anaphylactic shock. There is dispute among medical circles as to whether or not pregnant or breastfeeding women should ingest nuts; therefore, it is recommended that they speak with their physician or midwife before doing so. Another concern regarding the safety of peanuts is the risk of aflatoxin contamination. This can occur if produce is exposed to specific fungi - either Aspergillus flavus or Aspergillus parasiticus - and is a significant problem for most peanut producers worldwide. There are practices in place to try to ensure the safety of traded peanuts, but these are not always fail-safe. It is therefore important to only purchase peanut products from reputable and reliable sources. Peanuts are well-known for being rich in omega-3 and 6, both considered as essential fatty acids that are crucial for brain function and mood, as well as for reducing blood pressure and promoting cardiovascular health. However, peanuts are also a good plant-based source of protein,which is necessary for building muscle mass and for energy production. These nutritious legumes, often mistaken as nuts, also provide significant amounts of B-complex vitamins, including B1 (thiamin), B2 (rivoflavin), B3 (niacin), B6 (pyridoxin), and B9, better known as folate or folic acid. All these nutrients are essential for fetal development, as well as for converting carbohydrates and fats into glucose, which is used by the body to produce energy. B-complex vitamins are also necessary for liver, skin, hay, and eyes health. 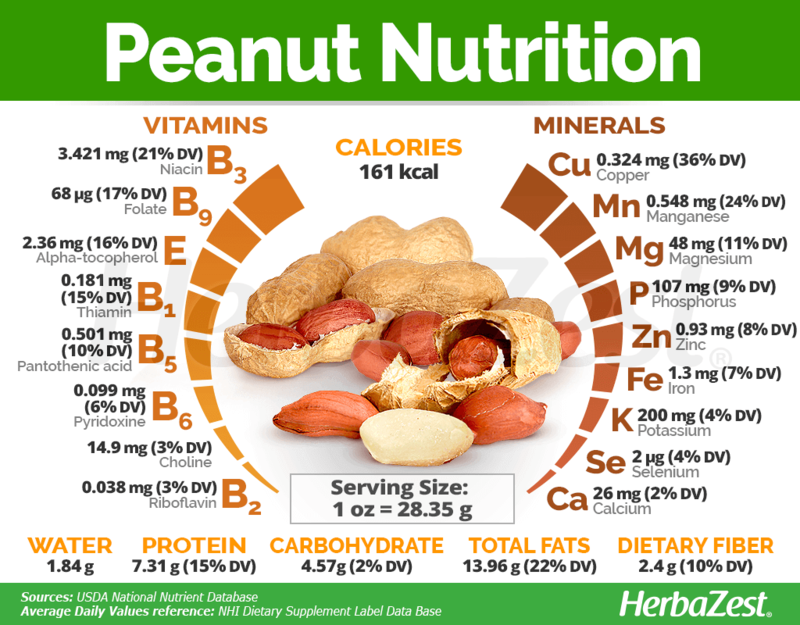 Peanuts' nutrition is rounded by fair amounts of vitamin E, a fat-soluble nutrient that boosts the immune system and supports cardiovascular health, as well as minerals like magnesium, for muscle and nerve function; phosphorus, for healthy bones and teeth; potassium, for regulating blood pressure; and zinc, for immunity and carbohydrates metabolism. Contrary to popular belief, the nutritional differences between raw and roasted peanuts are minimal, with the exception of folate and thiamin, which are substantially reduced during the roasting process. 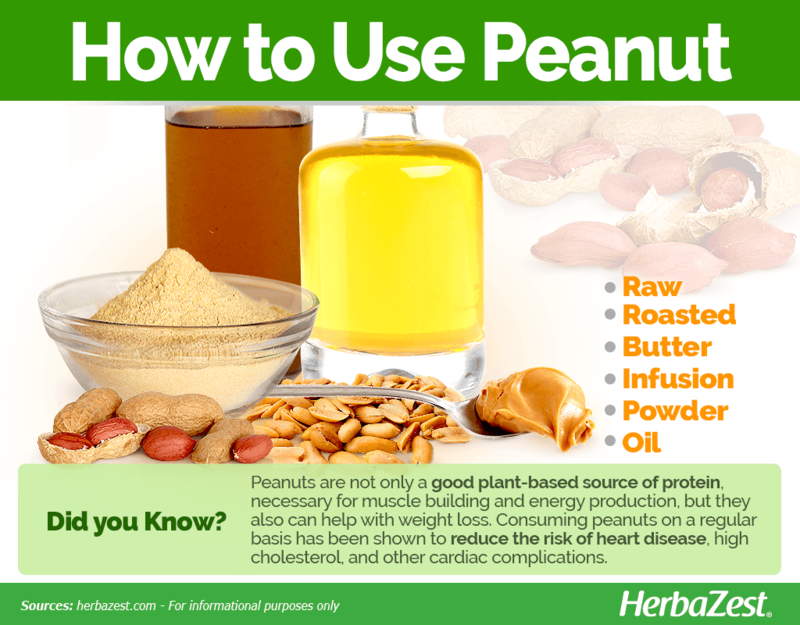 An ounce (28.35 g) of raw peanuts provides 161 calories, compared to 166 when dry-roasted, and about 15% of the recommended daily value for protein. Peanuts are enjoyed all over the world, and they are available for consumption as both foodstuff or medicinal supplement. Across Asia, peanuts are found in many rice-based meals, including curries and stir-fries; they are a key ingredient of the well-known kung-pao chicken, which originated in the Sichuan Province of China. Peanut products are also fairly common, this legumes can be found in cereals, granola bars, cakes, cookies, pies, and other desserts, particularly in the U.S. and Europe. Raw and roasted. Whole peanuts can be found raw and roasted. These are all widely enjoyed as a snack on their own; however, care should be taken with the salty versions of dry-roasted peanuts, which are high in sodium. In these forms, peanuts can be added to recipes for both sweet and savory dishes. Butter. Made by crushing and blending the nuts, this is possibly the most popular form of consuming peanuts in the U.S. Peanut butter (formerly known as peanut paste) is a common filling in sandwiches, and it is also enjoyed in desserts, with peanut butter cream pie being one of the most famous. Infusion. The roots, nuts, or leaves can be brewed - sometimes combined with ginger - for a revitalizing post-workout drink. In Ethiopia, peanut tea is a popular beverage. There, it is made by mixing peanut butter with hot water and sugar. Powder. This natural form of peanut is very low in calories because the peanuts have been pressed to remove the fat content. The powder can be mixed with water to form a paste and used as a substitute for regular peanut butter. Aid organizations often provide peanut-based paste to undernourished children in third world countries. This paste consists of peanuts, milk powder, sugar, fats, vitamins, and minerals, all of which are hugely beneficial as a source of energy and well-being. Oil. The oil extracted from peanuts is popular for cooking. It is also sometimes used in home made herbal remedies to stimulate healthy growth of hair, skin, and nails. Peanuts and peanut-based foods can be bought in most supermarkets and general stores all over the world. Farmers' markets are also likely to sell raw peanuts in their natural shells in the warm countries where they are cultivated; these are sometimes referred to as "monkey-nuts." 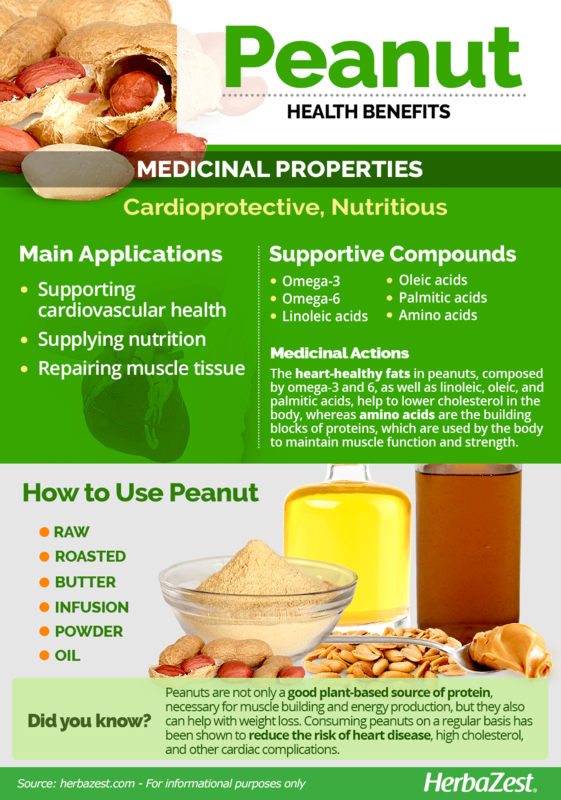 While peanut oil can be purchased in supermarkets and specialized health stores, along with other processed forms, such as energy bars, peanut can be found mixed with other herbs in protein powders, as a dietary supplement, in health stores or online retailers. Peanut plants have a very interesting and unique growth cycle. They are only naturalized in warm climates, but it is possible to cultivate them in cooler areas using a cold-frame. They are simple enough to grow, but some awareness of the peanut plant's favored conditions is helpful when attempting to cultivate them in the garden. The seeds - or nuts - should ideally be planted while still encased in the shells. However, these should have their husks or skins intact. Seeds should be planted around 10 inches (25 cm) apart, about one inch (2.5 cm) below the surface of the soil. The soil needs to be at a temperature of 65 - 70°F (18 - 21°C) in order for the seeds to germinate, which typically occurs between April and May (or after the last frost). Plants require around 1.5 - 2.0 inches (38 - 50 mm) of water per week, which can be supplied either naturally by rainfall or by human application. Peanuts have a relatively fast growing cycle: the shoots will start to appear around 10 days after planting, and they are ready for harvesting 110 - 150 days later. Peanuts are ready for harvest when the flowers begins to turn yellow. The whole plant needs to be removed to extract the peanuts, which develop below the soil surface. Detailed information about growing peanuts can be found in the herb garden section. Long considered as dry fruits, there is a popular misconception about peanuts' true nature, which begs the question: are peanuts nuts or legumes?. The answer lies in their biology. 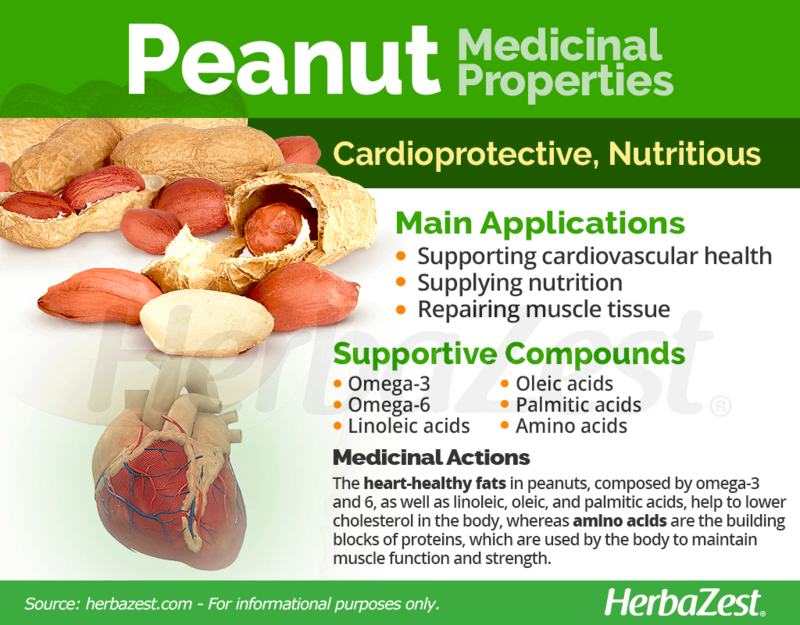 Peanuts are legumes, and their botanical name is Arachis hypogaea. The peanut plant has a unique growing process and composition in that its fruits begin development above ground, and then are submerged to continue growth below ground. Seedlings develop into thin and spindly stems, which produce oval leaves, and small flowers when in season. When the flower gets pollinated, a peanut ovary will form, which is known as a peg. The peg will stay connected to the flower by a thin stem but will grow downwards, eventually forcing its way below ground, hence the reason why peanuts are sometimes called groundnuts. Each plant will produce around 40 pegs. Peanuts are one of 81 accepted species in the genus Arachis, which belongs to the Fabaceae, also known as the bean or peanut family. This group consists of over 24,000 species, some of them of great economical importance, such as soy and beans. Producers have developed many different cultivars of peanuts, mostly in an attempt to make them resistant to pests and diseases, thereby making them more marketable and trustworthy. Noteworthy varieties include 'Spanish' peanuts, which generally have a higher oil content than other types, and 'Valencia' peanuts, which are considered the sweetest. It is believed that peanuts first originated in South America. Peanut imagery has been found in pottery that dates back to around 1500 BCE. It is known that Spanish explorers took peanuts from South America back to Europe, and from there they spread across the world. Peanuts have had special significance in the U.S. since they started being grown commercially in the 19th century. The eminent botanist Dr. George Washington Carver (colloquially known as "The Peanut Man") gained fame when he advocated the mass cultivation of peanuts for improving soil quality in order to grow other crops in alternate seasons. He put forward a list of over 300 uses for peanuts, including paper and soap. Although many of these uses were overlooked, peanuts became an important crop in North America, and they retain their status today. Peanuts have a significant economic impact, and are currently grown on around 42 million acres of land across the world. A large proportion of the produce is cultivated in India, China, and the U.S.; however, in recent years, Argentina has become the leading source. In 2015-2016, Argentina exported around 775,000 tons of peanuts - a drop from their record figure of 1.2 million tons in the previous season. Peanuts have been held in high esteem all over the world for a long time, so much so that September 13th has been declared National Peanut Day in the U.S., and January 24th National Peanut Butter Day. Those who observe these festivities promote the use of peanuts in different recipes and health treatments. Dye. Producers of organic textiles who seek natural dyes are particularly interested in extracting pigments from plants - including peanuts - which can be used as a coloring agent. Flavoring agent. Another unusual use for peanuts is as a substitute for coffee beans. Additionally, some people prefer to blend peanuts with coffee beans for brewing, or alternatively using peanut butter to add flavor to a hot cup of coffee. Peanuts are a versatile legumes, with a distinct texture and taste that makes them widely popular in cooking, and a plethora of medicinal properties that have afforded them a status of some importance in the world of natural remedies. When enjoyed in moderation, peanuts can complement a balanced diet and help one maintain general good health, as well as remedying some specific conditions.